Add a coordinated finish to the dining table with this beautiful plate set from Falcon. This luxurious set includes four dinner plates in a timeless white colour and stunning rim coloured detail. 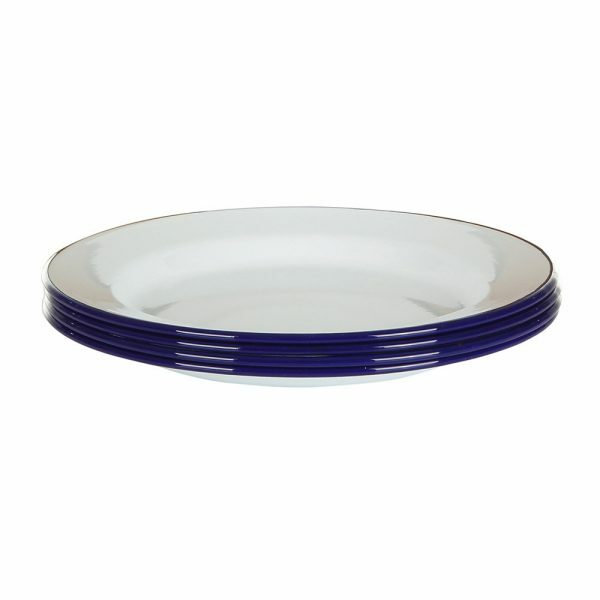 Made from durable enamel, this set is dishwasher and oven safe and perfect for serving delicious dinners directly from the oven to the table. A great set to replace worn tableware, team with matching pieces available separately from Falcon. 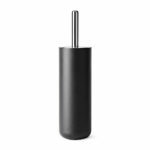 Please note, the outer porcelain layer can chip and reveal the below steel which will naturally oxidise. 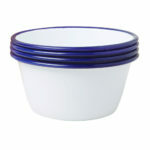 The enamelware remains safe to use and is a natural characteristic of the material. 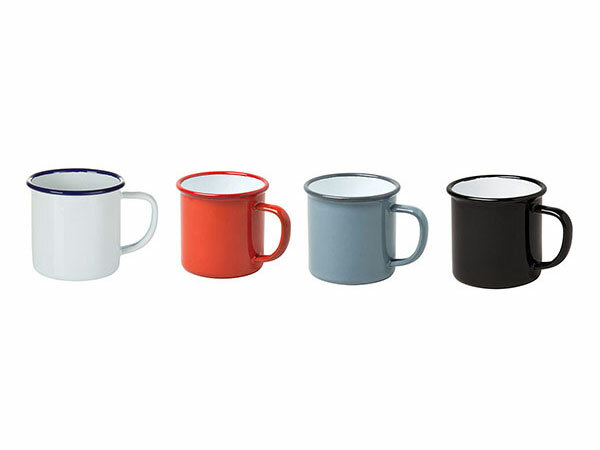 Find instantly recognisable enamelware from Falcon. 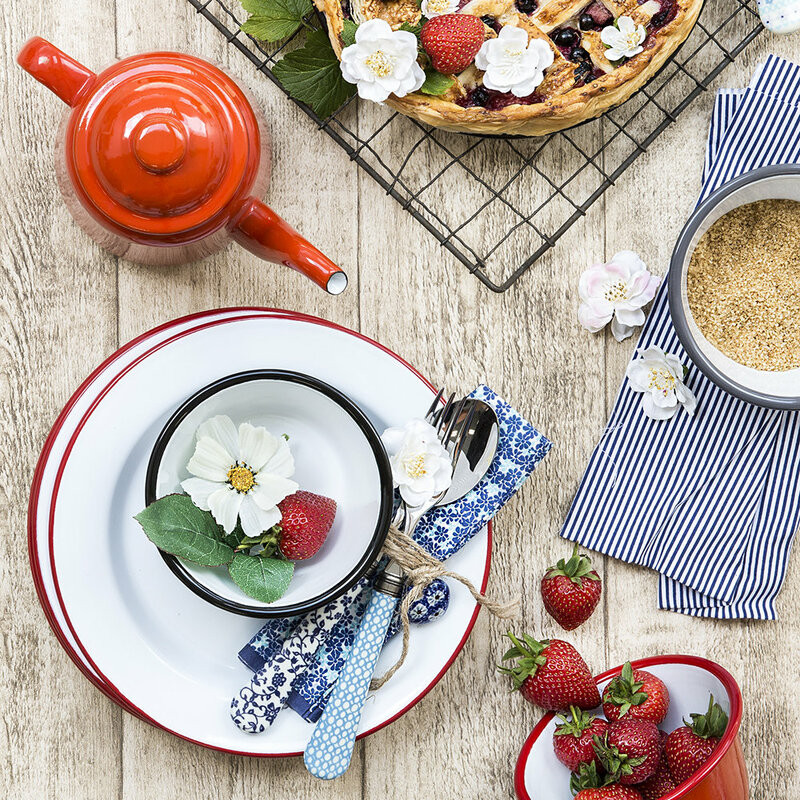 An iconic symbol of British home life since the 1920’s, Falcon kitchenware make a great addition to any traditional or contemporary kitchen. Today, several colours have accompanied the classic white and blue, making a great addition to transform any kitchen accessories.